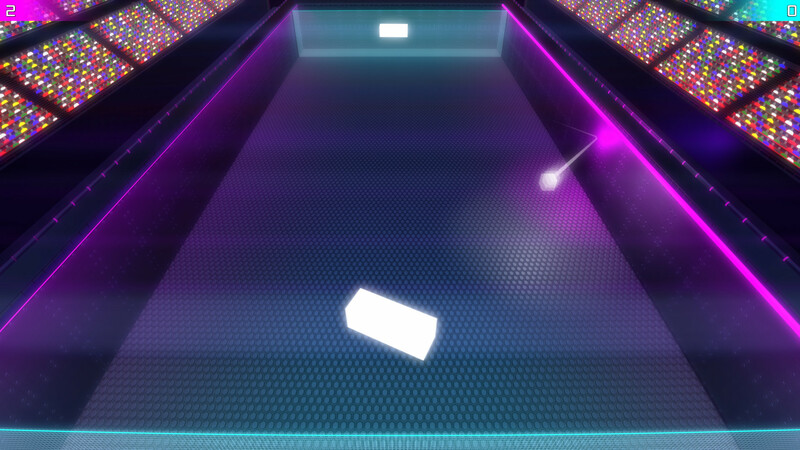 IMPOSSIBALL is a re-imagining of Atari�s "Pong" with three different game modes that can be played in singles (2 player) or doubles (4 player) mode. The game modes are: IMPOSSIBALL, DODGEBALL and LONEBALL. 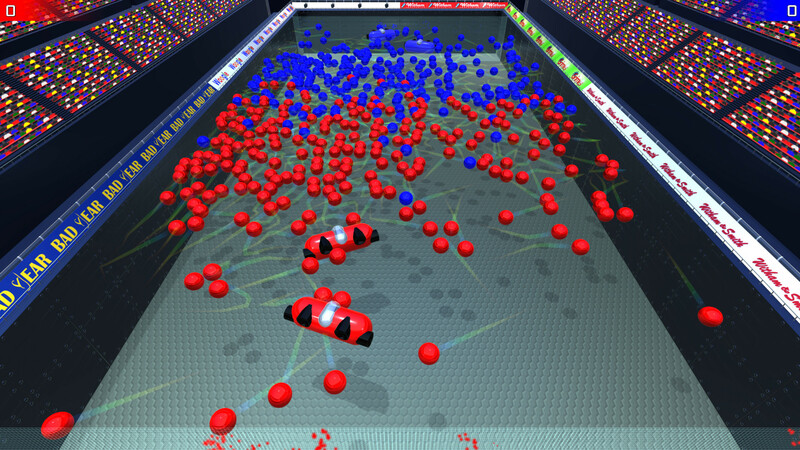 IMPOSSIBALL is like Pong but with 500 balls instead of one. There are 10 different Power-Ups including: BIGGER, INVISIBALL, MAGNET and IMPOSSIBALL. 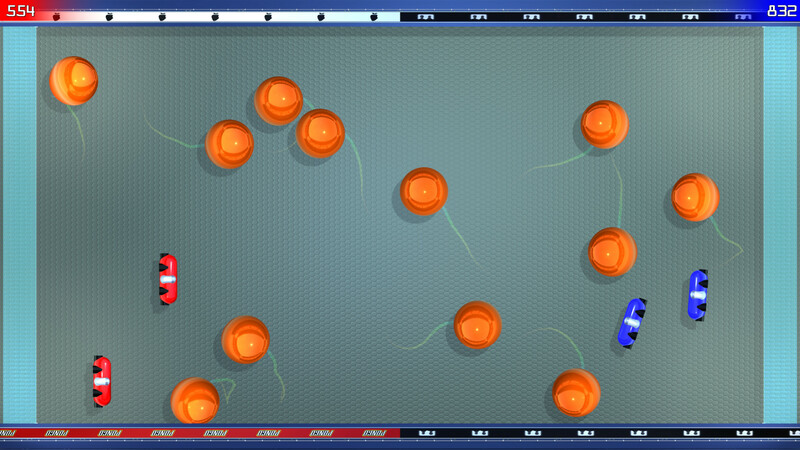 DODGEBALL requires you to avoid getting hit by the orange balls as they get bigger and faster. LONEBALL is our love-letter to Atari's original game featuring one, lone ball drenched in a neon glow and all set to a chip-tune soundtrack! Impossiball was first created for the XBox Live Indie Game Marketplace where it was well received (read a review on the XBLIG). After submitting the game to Steam Greenlight, Impossiball was Greenlit in May 2015. We decided to completely rebuild the game in Unity, switching from 2D to 3D. On September 28, 2016 Impossiball was released via Steam Early Access. Almost one year later it moved out of Early Access and into Full Release. You can buy IMPOSSIBALL now on Steam for Windows, MacOS and Linux. We�re Dark Duo Games: Independent game developers trying to recapture the magic of our childhood and drag it (kicking and screaming if necessary) into the 21st century. In particular we're interested in two-player local gameplay (split-screen and shared-screen) reminiscent of the days before online gaming, where you had one console, two controllers, two friends and hours of fun. Richard has worked in the games industry for many years as a developer for well-respected companies including Codemasters and Rebellion, before co-founding Custom Play Games and later Red Chain Games. A talented programmer with over sixteen years of experience, he is now developing the sort of games that he wants to play. Scott has been a passionate gamer all of his life. Over the years his interest has changed from purely playing games to finding out how they work and how to create them. Always looking for a challenge he is constantly seeking knowledge and experience in all aspects of game development from the design phase to coding, testing and marketing. You can get in touch with us via Facebook, Twitter or E-mail. Just click on the links below.